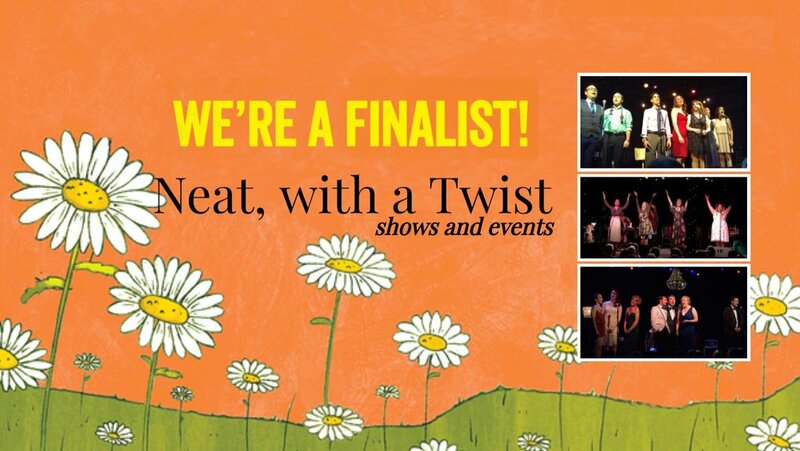 We were a finalist for the Best Local Theatre Company in the Seven Daysies competition. Thank you for the nomination and your support this year! Thanks to the Burlington Free Press for making Steppin' Out your "Offbeat" pick for Wednesday night during the Burlington Discover Jazz Festival. If you feel the same as local theater performer Erin Evarts does, then you think there is a space in the local arts landscape for dinner theater. Using the momentum created by a previous cabaret-style dinner and show in December at ArtsRiot on Pine Street in Burlington, Evarts has gathered a new cast of theater actors for Ladies Who Laugh: A Night Of Comic Cabaret.